Responsible for providing water and sewerage services to homes and businesses across Tasmania, TasWater directs a workforce of 900 people including 127 crews who address around 3,000 work orders every day. 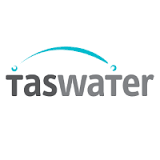 Formed through the amalgamation of three separate regional water corporations, TasWater’s maintenance operations were extremely disjointed, relying on 26 coordinators around the state acting as intermediaries between field crews and the Call Centre. As a result, key resources became desk-bound simply in order to receive and assign reactive works notifications by telephone, to the detriment of safety oversight, technical mentoring and process efficiency. By redesigning the dispatch process to better utilise the capabilities of their asset management and GIS tools, TasWater have achieved organisation-wide productivity targets, whilst also improving daily attendance and incident response performance. Previously, calls from the public reporting issues were received by Customer Service who would assign service requests to the regional coordinator. After phoning around work crews to determine location and expected availability, coordinators would assign a work order to the best situated crew. Customer calls are now directed to the new dispatch team within the Network Operations Centre. With direct access to location, current work and work priority data, Dispatchers can assign work orders directly to the next available crew in the area. Coordinators are back in the field mentoring crews and overseeing safety standards.